I received a link to sign a petition asking PM to take action against MP Ravindra Gaekwad and I think it is preposterous. If the signatories feel strongly, they should ask the leader of Shiv Sena to remove the MP from the party or write to the Speaker of the Lok Sabha to explore options to disqualify this MP. I think the latter approach is not feasible because the issue is only at the FIR stage. Although it is great that this action has created an outrage amongst the citizens, asking the PM to take action on the behaviour of a MP of another party and that too outside the Parliament is ridiculous . Allow the PM to do his job. He is not the country’s policeman. I’m however happy that there is no campaign (yet) asking the PM to resign on moral grounds because Shiv Sena was an alliance partner in the past. Opposition demoralized or sleeping? We have always thought of hospitals as places where there is always activity and excessive attention! when my mom was recently admitted into a neighbourhood hospital, much against our willingness, i saw this place as an anti-thesis of my notion of hospitals. Since she had a nasty fall at her place of work, she was rushed to this hospital (I wouldn’t name) for some first aid and for some comfort. Strangely, they did neither. on the contrary, they were trying to make the visit as uncomfortable as possible. on reaching the place, I was aghast when the chief doctor suggested that she be admitted in the ICU. When I asked why, he pointed out to the high BP and blood sugar levels. I told him that she was given some coffee with sugar immediately after she fell down and that might have contributed to the spike and suggested that BP taken after a few minutes to establish. But he persisted with the line that she be admitted and I gave in after a while. Didn’t know what was in store for us subsequently. It took a while for me to complete the admission formalities and advance payment but by the time I came back to the casualty room, I was informed that she was already taken to her room. the staff on the third floor where her room was located were either too tired or were plain incompetent. we had to remind the duty nurses several times to attend to every small issue and still were rebuffed, albeit politely. Doctors were taking forever to come and take a look at an inpatient and patients were being needlessly ferried to x-ray rooms multiple times. because her knee was swollen, I had to ask them to check it out. I heaved a sigh of relief when they finally took her to the x-ray room only to get the chest x-ray done. when i protested that what was more important was the knee, they just plain over-ruled me on the grounds that chest x-ray was standard and required for the physician who would be taking a look. they even disregarded my suggestion to get the knee x-rayed at the same time to avoid the need for her to come again. soon the bp and the sugar levels came under control but still the physician was nowhere to be seen. and when i went out to get the dinner, he had apparently called on my mother and asked her to stay for a while. and when i went to get some medicines from the in-house pharmacy, she was again ferried to the x-ray room (this time mercifully for the shoulder and knee), had the ortho doctor look at it and declare that all was fine and brought back to the room. As her knees, shoulders and the head were aching, we had been requesting for some pain relief and that came almost late in the night in the form of an injection and some tablets. Finally, at around 9 am the next morning, I convinced the chief doctor to start the discharge process and it was an amazing 3 1/2 hour ordeal during which I had to make multiple visits to the billing, accounts, nursing station in the 3rd floor. We eventually left at 12:30 pm and reached home. a. There is a real conflict of interest when they force a person who has come to the casualty to get admitted rather than alleviate the pain for which the person had come in the first place. c. There was not even a sign of interest amongst the physicians and the staff to even listen to the patient and the attenders, let alone redress them, even though there wasn’t many patients clamouring for their attention. Just plain casual approach! I went in for healthcare but experienced neither care nor a healthy attitude and came out with a much depleted wallet! I noticed a flurry of tweets about the impending launch of the FreeChargeWallet by Snapdeal and FreeCharge. It made me wonder if we are on the cusp of a revolution and realized we are not. But it served the purpose of writing this post which has been pending for quite some time now. As a regular and happy user of FreeCharge, I am observing the evolution of their service from only pre-paids to cover post-paids, DTH and now certain utility bills as well and I must really compliment the team for a smooth and gradual increase in coverage. I have also noticed their emphasis on the user experience and the constant efforts to minimize the friction. I must also compliment the social media team, especially the customer care unit on twitter which is very responsive and active. I have gone on record on twitter that I would continue to use freecharge even if there were no coupons. In fact, skip coupons has become a default setting for me. I enjoy the convenience and the hassle-free experience. Given that the freecharge team is trying to get its existing user base to use the service repeatedly, I have experienced a clear chasm as a frequent user and i have shared the same with the key people a few times. when i effect my post-paid payment, i go through the process of selecting the card or payment mode, enter the amount and authenticate via otp. And when I want to recharge my wife’s mobile immediately thereafter, I am forced to repeat the process much to my chagrin. Given that I am most likely to use the same credit card, for both the transactions, I would prefer to check out after all my bills are ready for payment and do it at one stroke. Imagine the situation at a e-commerce site like Snapdeal where after you have selected your shirt, you cannot add a pair of pants but must pay for your shirt first!! I am confident that the key folks at FreeCharge would make the overall experience of customers smoother by making these subtle changes rather than focus on big bang announcements. 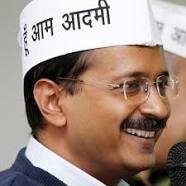 Arvind Kejriwal (AK) has done the pheonix by rising from nowhere to virtually owning the Delhi assembly! It is not my intention to analyze how he managed to do it and what were the factors that led to this remarkable victory because that is already done ad nauseam. I am more concerned about going forward and this is where AK will do well to learn from history. Circa 1982: NT Rama Rao started his Telugu Desam party in Andhra and within a year he won a landslide victory by securing 201 seats out of 270 against Indira Gandhi, then PM. 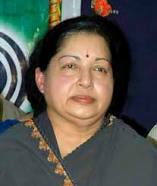 1991:Jayalalitha’s ADMK with Congress won 225 out of 234 seats in Tamilnadu and the then incumbent party DMK managed to get only 2 seats. The common theme amongst these examples is that all of them wasted the huge mandate possibly because they weren’t ready for that! Or possibly the results got into their heads!! You may be already aware about what happened to them and more importantly how the nation/states lost out despite giving them such clear and massive mandates. 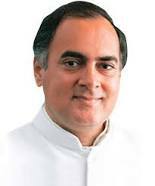 At the same time as Jayalalitha, PV Narasimha Rao took over the mantle of PM leading the INC which won only 244 seats (less than the minimum 272 for a majority) but then transformed the nation. So Mr Kejriwal, you have a choice of fulfilling the aspirations of the Delhi voters who have given a never-before drubbing to everybody else in your party’s favour or letting the verdict get into your head. You have got a second chance but you may not get a third one. More importantly, Delhi and perhaps the Nation will go back to the cynical mindset. 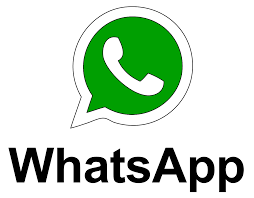 Is WhatsApp serious about being the complete messaging platform? As someone who has recently started using WA on the web after a few months on the mobile, I have become a convert to the WA experience. I was extremely keen to try the WA on the web not because of the novelty factor but going solely by the utility. a. All said and done, typing is easier on the desktop or laptop as compared to the mobile. And we can truly leverage this ease by using WA on the web. b. Further, it is now extremely easy to share something that we have discovered on the web thro WA on the web than on the mobile. c. Yes, it is a pain to have the phone connected to internet for us to use the WA on the web but for the benefit of instant sync that we get, it is a small price to pay. d. If you have not tried using WA on the Web yet, here is the way to do it. Incidentally, it is only available for Android and Chrome browser as of now. Btw, this post is not about WA on the Web. I am quite perturbed by the recent updates from this company (possibly on account of it being bought by FB) because it displays confusion and lack of clarity of purpose. Rather than make the messaging experience more compelling and useful, WA is going in a totally different direction ie calling!! Perhaps it has been compelled to do so because of the other players. So the giant has become a follower! There are already free options to call like Viber. So what’s next? Video Calling? On the contrary, I would have loved WA to focus its energies towards making the messaging experience more fulfilling. For example, it is a real pain to share a message with a number of individuals on WA. It doesn’t make any sense to create groups for a one-off communication and if the group members don’t find value in being part of a group, then they will leave it. There is also a problem of the limitation on the number of members in a group. WA may argue that we can use the broadcast option but that also is irrelevant when I want to do a one-off share. A much easier to use option is having a simple interface where I can choose multiple contacts when I click on the forward button as compared to the single contact selection that is available now. By the way, the same solution would work beautifully as well when I want to copy and paste because currently I can do that for only one contact at a time. Are Jan Koum and Brian Acton listening? Or should I pose this question to Zuck? Yesterday at an ATM of Union Bank of India, I saw a poster (see below) that was revealing and self-explanatory in the context of charging for ATM usage beyond the ‘free’ transactions. The poster had clearly differentiated between Financial and non- Financial transactions. Background: For many years, Banks have been campaigning to get their customers away from the branches to reduce the cost of transactions. They started with the ATM culture where a customer can withdraw cash only from the ATMs of that particular bank and then as adoption increased they made it possible for customers of any Visa card to withdraw from any bank that supported the network. And just like the mobile revolution, customers started using ATMS and more or less stopped going to the counters to withdraw cash except in situations where the withdrawal amount was more than the limit for withdrawal by ATMs. And now when ATMs have become a habit, they have chosen to limit the transactions and charge for anything more than the limit. So what was created as a service to help customers enjoy convenience has now become a ‘Revenue Model’. When I first came to know about this ‘free and then fee’ model, I thought it was fair on the grounds that if a customer can do 5 Free Transactions on the Banks’s own ATMs and 3 more in other ATMs in a month, he/she can actually transact 8 times using an ATM in a month. It seemed inconceivable to me that anyone would require more than this until I started reading the small print. I see that different banks offer different limits for the ‘Free’ but I am going to consider them as a single entity for the 5 questions (on the lines of daily 5 questions that BJP is posing to the AAP) that follow. 1. So do the banks want more people to come to the branches now and use the ATMs sparingly? This defeats the original purpose of offering this service because the cost of say ‘cash withdrawal’ at the branch was significantly higher than at the ATM. 2. Will there be a warning to the customers at the ATM or via sms when they exhaust the number of Free Transactions for the month and that they will be charged for further transactions during the month? I suppose Banks don’t expect their customers to keep track of their transactions on the own Bank ATMs and the network ATMs. 3. If the bank’s intention is that customers should pay for the services they enjoy, will it also extend to the number of debit card transactions and going forward Internet Banking? There is a high push from Banks to encourage the customers to use the debit cards instead of cash and I suspect that they will charge for debit card usage once it takes off. Likewise for the other services like sms banking, internet banking, app banking to just name a few. 4. Will banks allow carry forward of unused transactions for a period of 6 months? As a customer, I can plan my usage on a larger time window than just a month. If the Banks have the wherewithal to track the number of financial and non-financial transactions, surely they can offer this facility. 5. Is this a ploy to create new products like a premium account where the number of transactions on ATMs (or any other channels) will be unlimited to attract more customers? Bonus question: Are the charges levied for the extra transactions inclusive of Service tax? I know that this is trivial but since there is no * in the poster above, I want a clarification. I’m surprised and shocked that RBI has allowed Banks to get away with such customer-unfriendly practices. Mr Raghuram Rajan, are you listening?